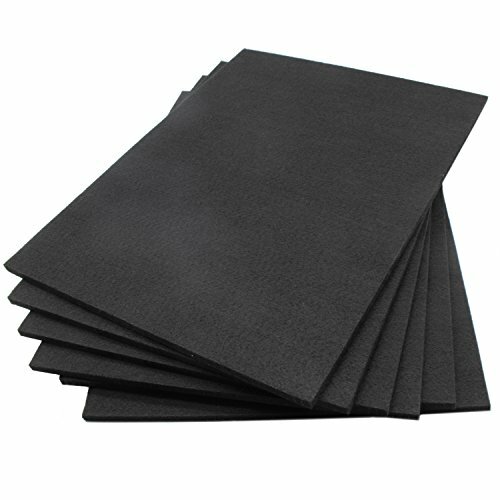 BXI Acoustic Panel, made up of high density polyester fiber, is a perfect broadband sound absorber for rooms like recording studio, home theater, offices, etc. It is designed to trap reverb, eliminate echo, and reduce noise. In addition, it comes with lifetime technical support to ensure your satisfaction. Great quality, great service, great price, this product is what you are looking for! As a porous absorber, it contains lots of pores, channels, and voids connected to the outside air. When sound hits it, air flow would be caused in the pores/channels/voids. Then sound energy is lost to heat through friction between the vibrating air molecules and the walls of the pores/channels/voids. Its can reach 0.78 for average absorption coefficient and 0.87 for NRC. It is easy to cut with knife and has multiple color options. Just DIY your own style. 6 Pack - Decorative Acoustic Panels Studio Foam Waves 2" X 12" X 12"